The George Hotel Dorchester on Thames combines the beauty of an historic building, complete with oak beams and inglenook fireplaces, with all the advantages of a modern hotel. 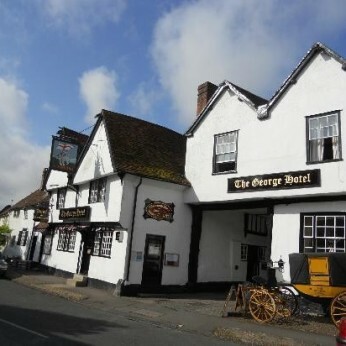 The George Hotel Dorchester on Thames is a striking, idyllic 15th Century coaching inn, built in 1495 it is one of the oldest coaching inns in the country, allowing you to tread on the path of history. Situated opposite the famous Dorchester Abbey & Museum.